Can Trademark geography as part of a Trademark? Home/Trademark/Can Trademark geography as part of a Trademark? 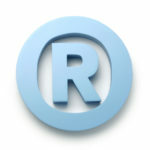 Can Trademark geography – a geographical or location term be a trademark? If the geographic term is not a separable element or if none of the additional matter that makes up the composite mark is inherently distinctive (e.g., it is merely descriptive or incapable), then the examining attorney must refuse registration of the entire mark on the Principal Register pursuant to §2(e)(2). If the geographic term is a separable element and the additional matter making up the mark is inherently distinctive as applied to the goods or services (i.e., coined, arbitrary, fanciful, or suggestive), the applicant may either: (1) register the mark on the Principal Register with a disclaimer of the geographic term; or (2) establish that the geographic term has acquired distinctiveness under §2(f). We would be happy to discuss your potential trademark application and answer any trademark questions.